This is not rocket science. If one country’s corporate tax is higher than another, what would any sound business do? So truly, “bipartisan” should be the first adjective hanging on President Trump’s tax cuts. The list of prominent Democrats who have called for lowering the corporate tax rate should make passing this legislation with bipartisan support a no brainer. Democrats like President Barack Obama, Senate Minority Leader Chuck Schumer, California Senator Diane Feinstein, Missouri Senator Claire McCaskill, West Virginia Senator Joe Manchin, House Minority Leader Nancy Pelosi and more make up this list of folks who are on record emphatically calling for cutting the embarrassingly outdated corporate tax code. Even former President Bill Clinton – the driving force behind the corporate tax raise that landed the United States at 35 percent – has come out and said we must lower the tax rate or be left behind. Thirty-five percent was competitive in the 90s but now it is undeniably hurting the American worker and the American economy. If these Democratic leaders and self-professed defenders of the middle class do not come around and support this bill, the American public should assume that they hold obstructionism of President Trump’s pro-growth agenda in higher regard than the fate of the American worker. With the Democratic message already failing to reach the ears of their base, opposing a pay raise for the American worker means the Democrats should expect another humiliating defeat at the voting booths in November 2018. 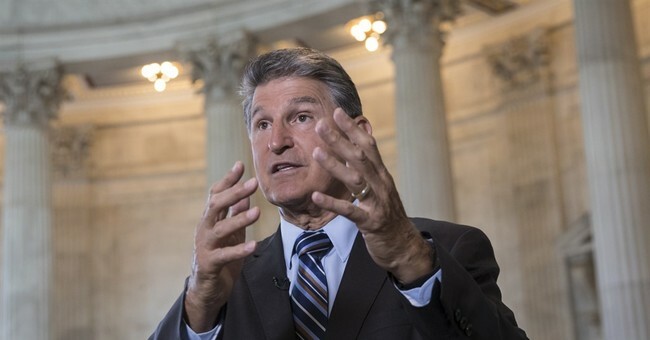 But certainly, Senators Manchin, McCaskill and the other eight senators up for 2018 re-election in states won by President Trump, at the very least, are the folks who should be beating down Senate Majority Leader Mitch McConnell’s door. Only obstructive, partisan obstinacy will prevent these Democrats from being a part of a conversation to make sure the American worker knows that their elected officials stand with them. Regardless of party affiliation, any member of Congress in Washington, D.C. worth their salt knows they must stick up for the middle-class worker. Here are three reasons supporting President Trump’s tax framework equates to sticking up for the middle class. First, American workers deserve a pay raise. The White House’s Council of Economic Advisers Chairman Kevin Hassert has conservatively estimated that cutting the tax rate from 35 percent to 20 percent will increase wages for the average American household by $4,000 annually. What the White House does not say is that this could actually be closer to $9,000 annually. In fact, over the course of 10 years this number could climb much, much higher. Our leaders in Washington owe it to their constituents to get out of the way and allow the American economic engine to do its job. Second, we need to encourage the best businesses to capitalize on our best resource – the American worker. This is a feat that is not possible if even American businesses are offshoring in Ireland or other parts of the world to avoid bloated corporate taxes in the United States. Around the world, leaders like President Macron of France and Canadian Prime Minister Justin Trudeau are overseeing drastic reductions in corporate tax rates. Even the catastrophe-of-a-nation Greece has a lower corporate tax rate. Without competitive corporate tax rates, we cannot reasonably expect rational CEOs to choose to invest in America and, as a byproduct, the American worker. Lastly, to restore faith in the American dream, our leaders must make room for the private sector to restore the relationship between the employer and the American worker. While corporate profits have indeed risen over the last few years, wages have remained the same. With a corporate tax cut and a short-term window for repatriation, there is no longer an excuse. Every employee across the country will be able to ask for competitive wages knowing that fair employers will want to keep the best of the best working for them. The argument that these tax cuts are for the rich is old and tired. The question Democrats and Republicans alike have to ask themselves is, “Do we want another 8 years of nothing, 8 years of lost wages, and 8 years of lost opportunities?” Doing nothing would allow the American dream to wither on the vine. At long last, it’s time for both sides of the aisle to agree that we must get the sloth of the American government out of the way of the American middle class and allow them the opportunities promised to the many generations the came before them.